At over 14 feet long, the Herald 4460 Awning from Palram is an extensive demonstration of durability. Rated for up to 75 miles per hour wind and snow loads up to 25 pounds per square foot, this awning is ideal to protect areas from inclement weather. 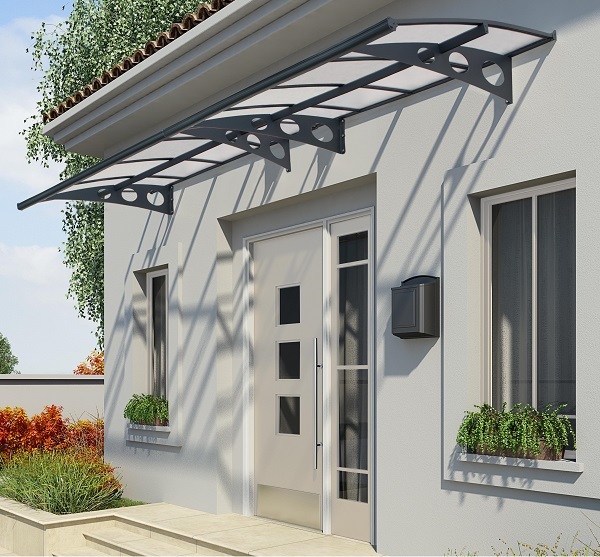 It is composed of six-millimeter twin-wall polycarbonate roof panels and laser-cut powder-coated galvanized steel support arms. The Herald even blocks 100% of harmful UV rays and comes in an easy DIY kit. Let this awning proclaim its dependability for all to see.